The Saratoga Tote is an elegant tote that adds a touch of understated class to shopping. The tote is made from 16 oz. 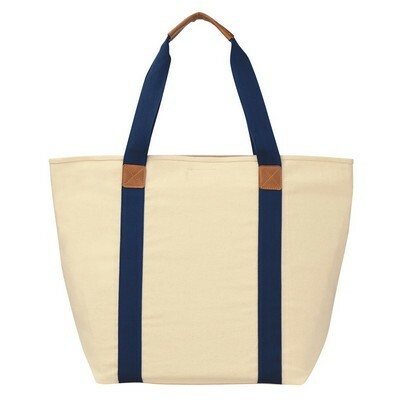 The Saratoga Tote is an elegant tote that adds a touch of understated class to shopping. 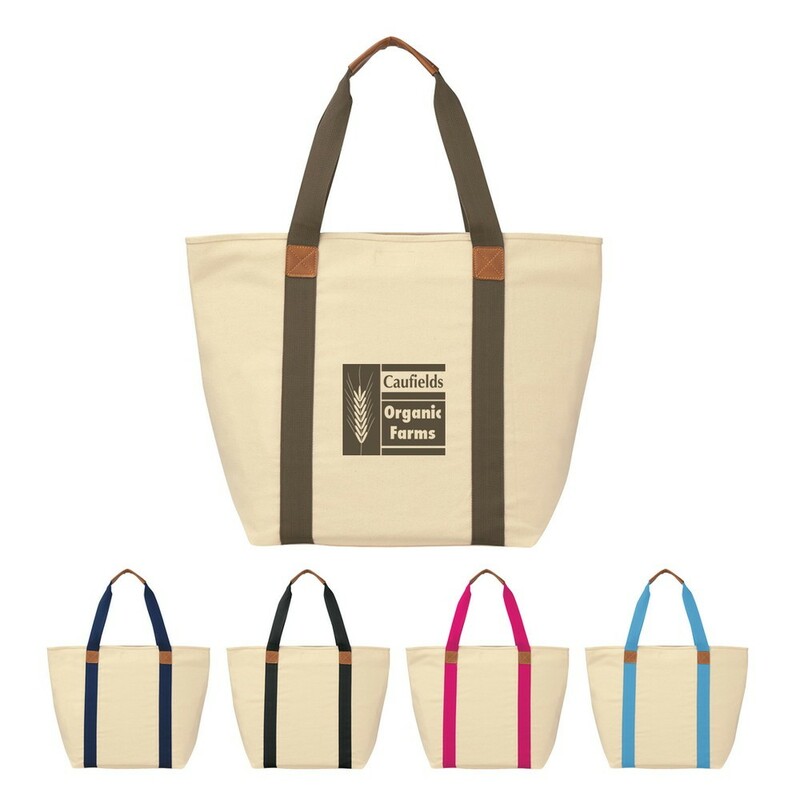 The tote is made from 16 oz. 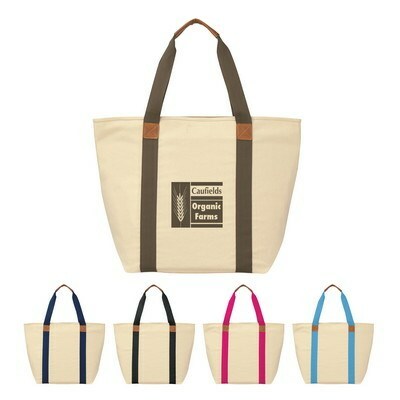 cotton canvas material. It has 22 inch handles with leatherette grips for easy transport. It has a Velcro® closure to provide optimum security for your belongings. The tote comes in natural with black, light blue, navy, olive, or pink trim colors. Screen print on this trendy and useful tote, which your recipients will carry on their grocery trips and mini vacations. It will gain greater visibility for your brand and will enrich its image.